Classie is our Tina (Kylie x Parker) x Dexter daughter...our third generation! 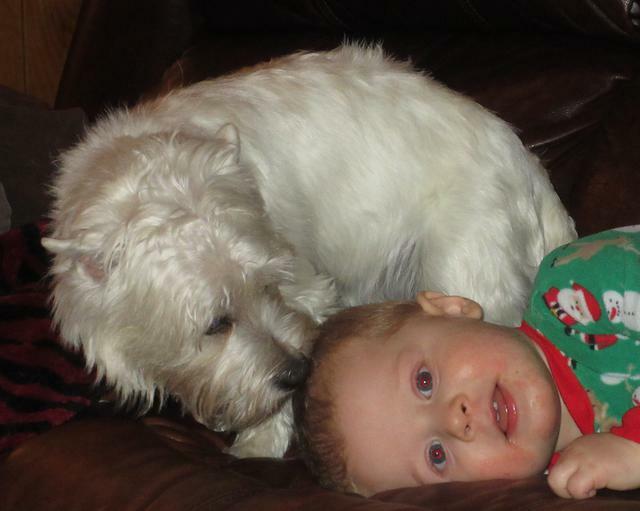 She is a very happy, playful westie - she likes to play "tag" with our grandson (2 1/2 yrs old), plays great the Labrador puppies + the other westies! Classie is my girl and she loves to snuggle and watch TV with me. She is a small westie with lots of personality! Classie weighs 13 lbs and is clear of any health or allergy problems.